Explorer motor yacht TANANAI is a 35.20m (115' 5") motor yacht built by Terranova Yachts in 2008 with naval architecture by Barracuda Yacht Design. Yacht TANANAI is a true sea going vessel, able to cope with a wide range of challenging weather and seas enabling her to explore far off and remote locations, where safety and self-sufficiency is paramount. 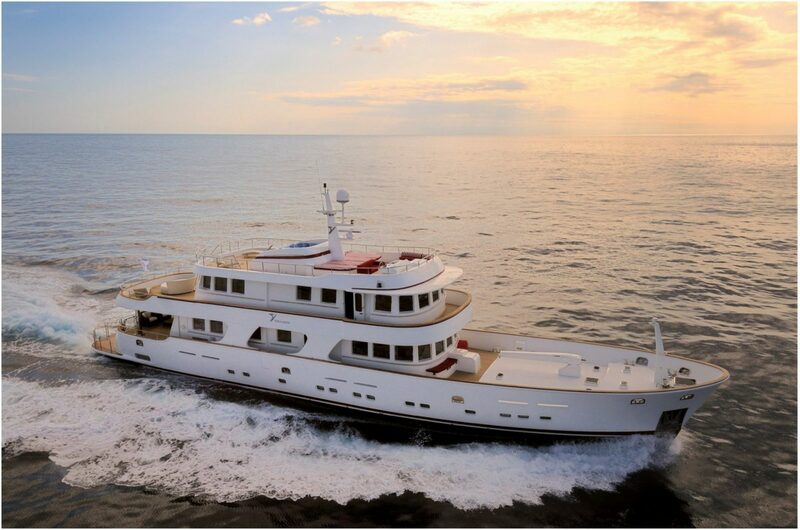 Some of motor yacht TANANAI’s special features include an elevator connecting 3 decks, a Master stateroom located on upper deck, a 4 person Spa Pool on the sun deck and a low fuel consumption, making long range passage making easy. 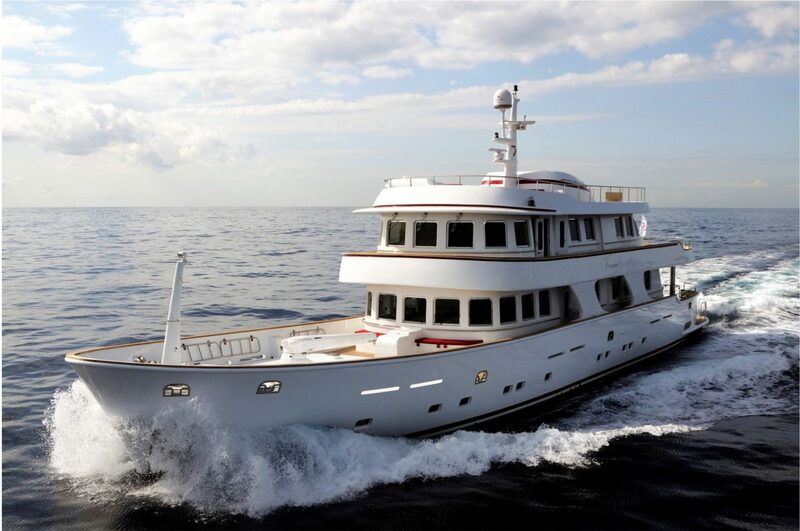 This exceptional charter yacht is also wheelchair friendly. 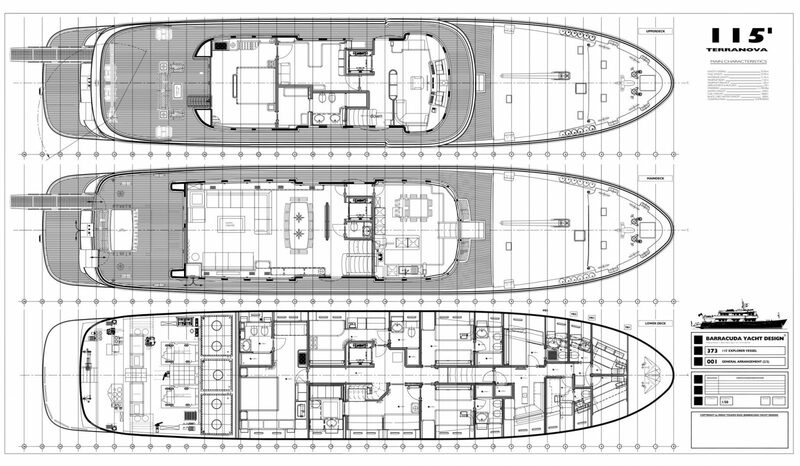 Luxury expedition yacht TANANAI features a high level of internal living space offering maximum comfort. 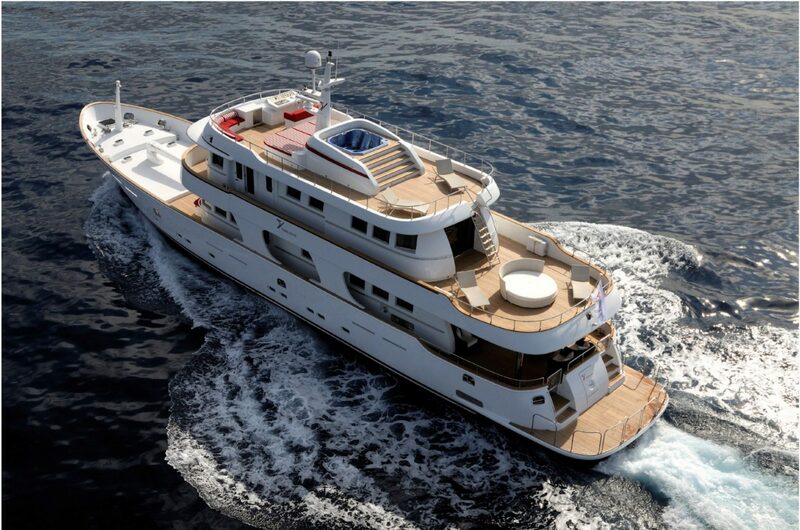 The Terranova 115 motor yacht TANANAI boasts large windows offering panoramic views. 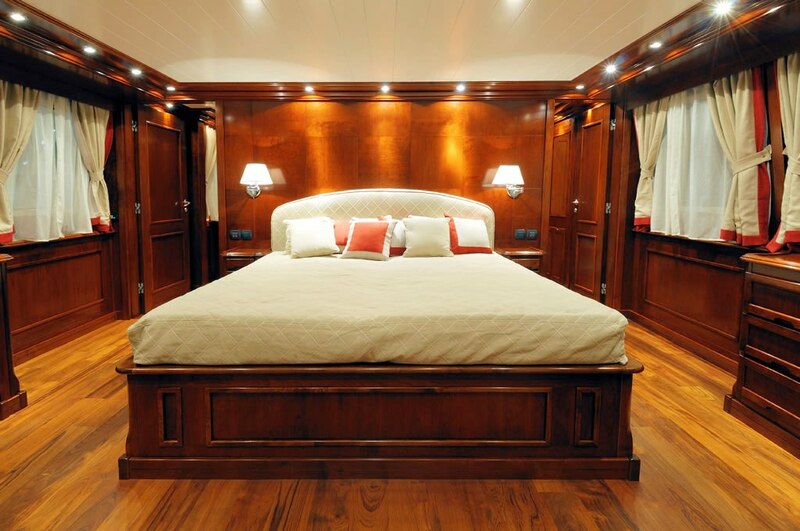 Terranova Yachts employed a classical Italian cabinetmaker to oversee the furniture, made out of satin-lacquered cherry wood and designed in an elegant and traditional style. Cherry has also been used for the wall paneling. Other natural fabrics, including linen, cotton and leather add to the ambiance and overall 50’/60’s period feel. 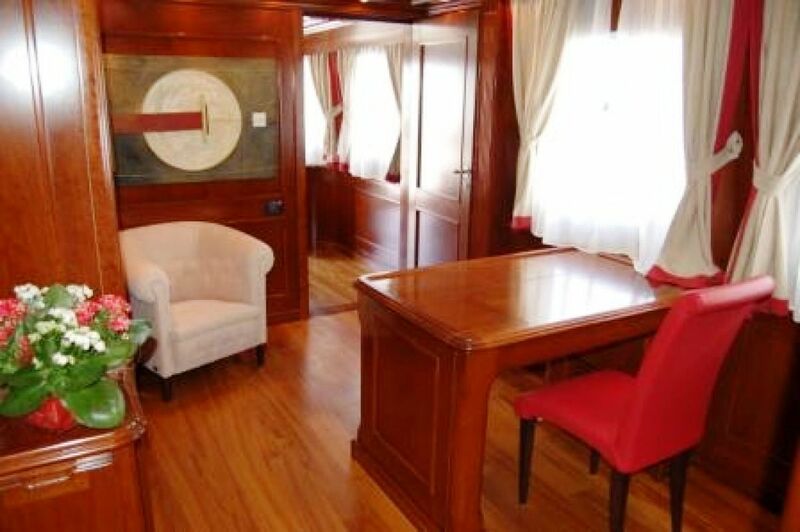 The main deck on the M/Y TANANAI features an impressive lounge and dining area and a less formal ‘breakfast’ area adjacent to the main galley. 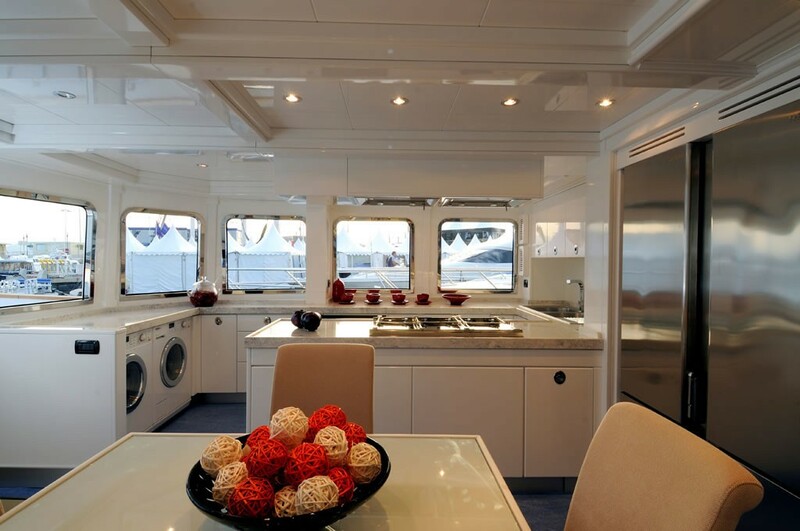 Outside on the aft deck there is an external dining table and seating area and a further settee-style seating around a low table on the foredeck area, next to a permanent Spa Pool/plunge pool. 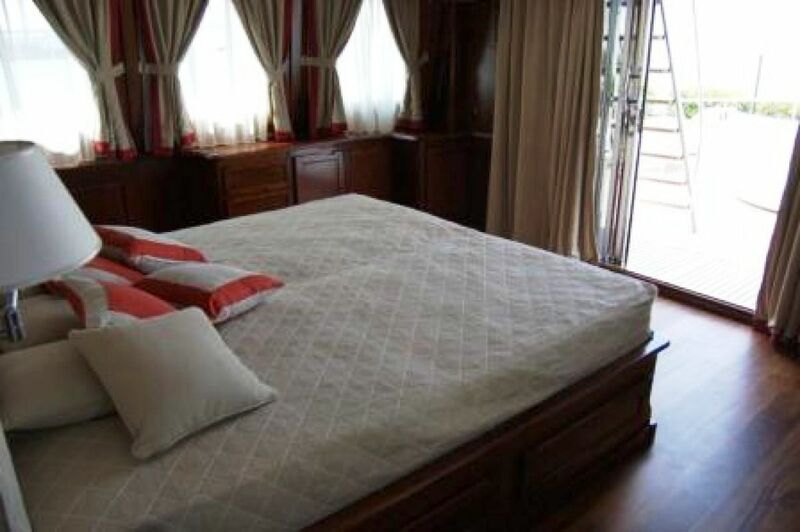 Motor yacht TANANAI’s upper deck houses the helm station and to the rear of this a very private and luxurious master stateroom, featuring a large bed, a double bathroom, walk-in wardrobes and a separate desk/study area. 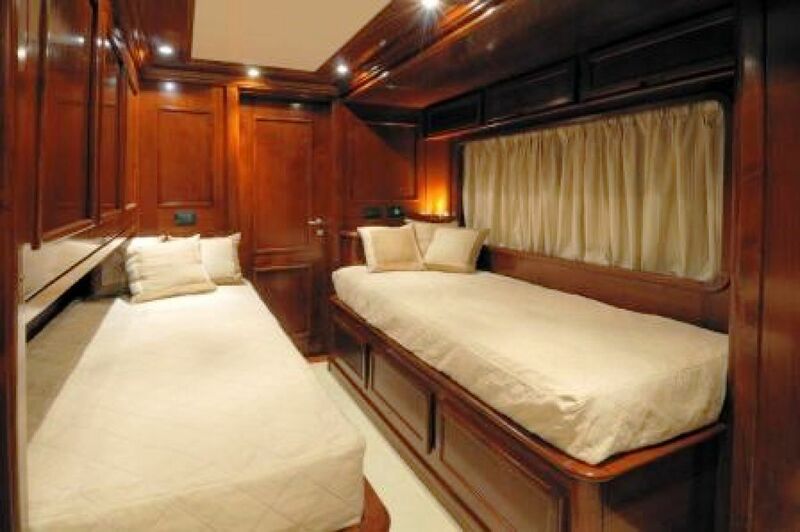 Patio style doors open out from the Master stateroom to a private seating and this is also where the yachts main tender is launched and stored via crane. 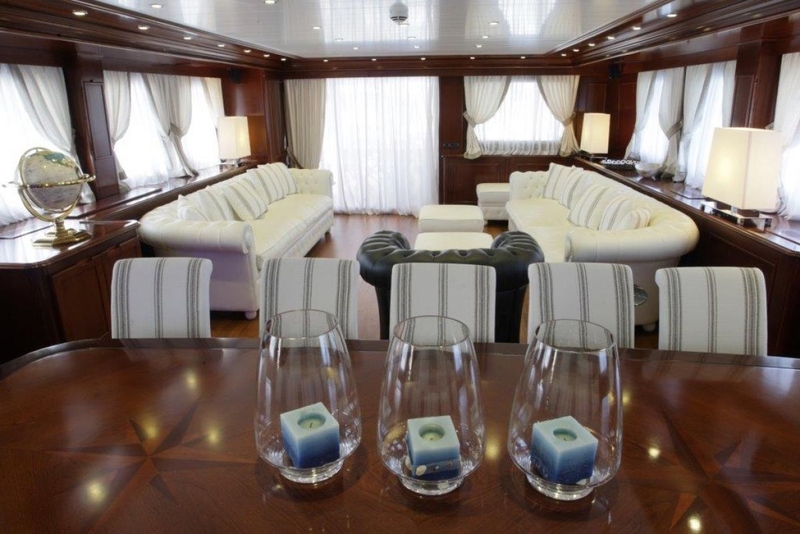 The 115’ motor yacht TANANAI is able to accommodate up to a maximum of 12 guests plus crew. 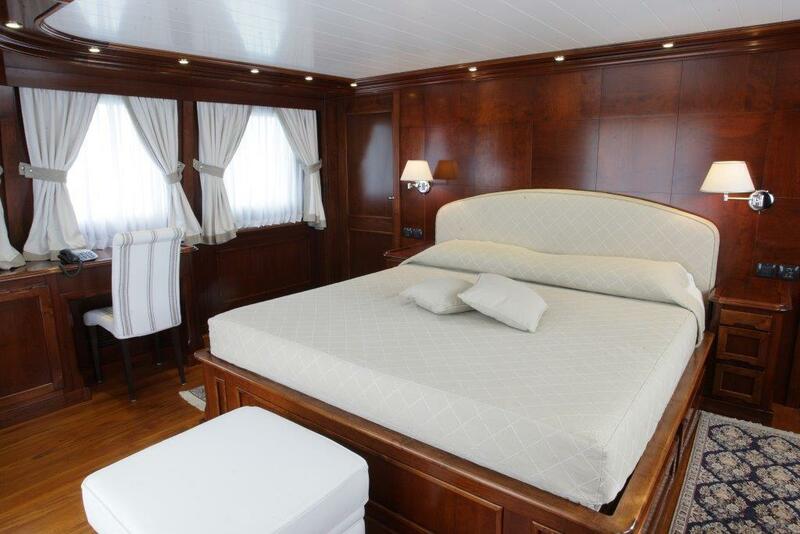 The lower deck houses a full beam VIP suite plus four main guest cabins, each with en-suite facilities. The crew is also accommodated on this level. 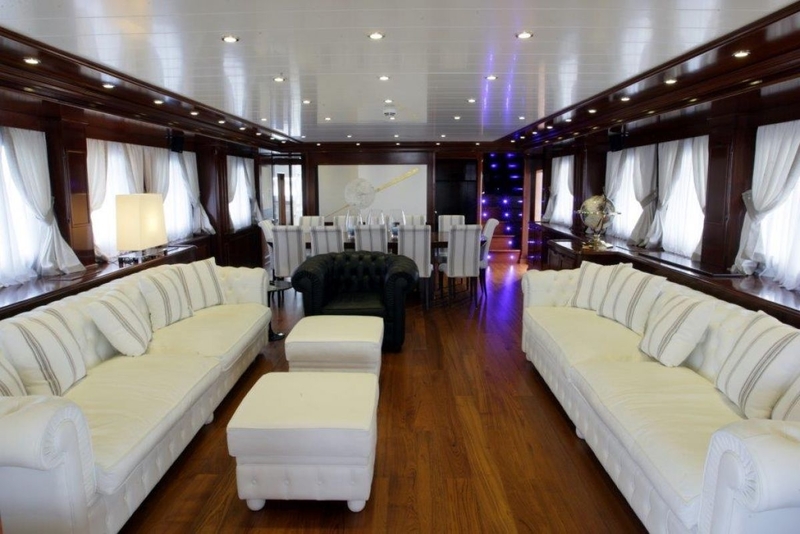 Yacht TANANAI has plenty of outside space for relaxing and entertaining. 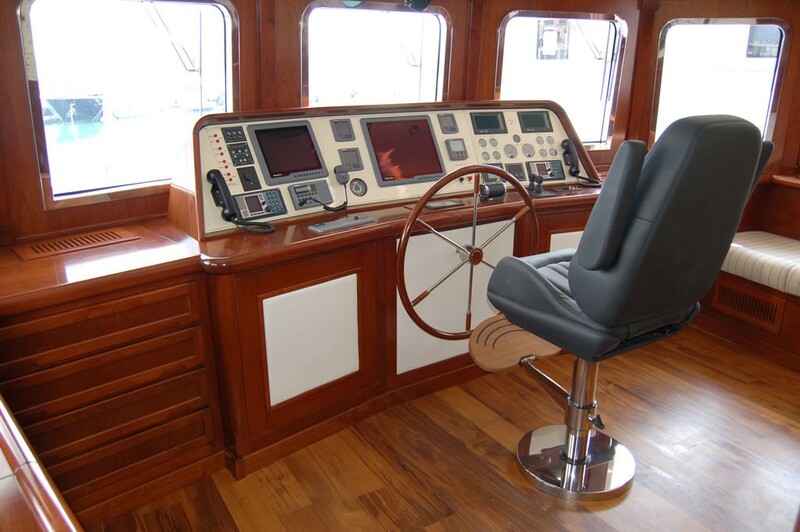 Her foredeck area offers plenty of room for the speedy launch and recovery of various items of tenders and water sports equipment via permanently mounted crane. 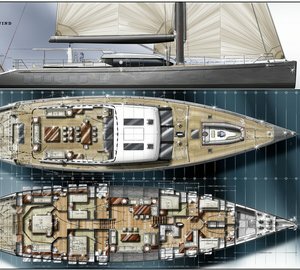 The aft of the yacht boasts a large boarding platform, where guests can enjoy the water sports equipment or dive into the warm ocean. The large flybridge on the explorer motor yacht TANANAI offers great viewing of local scenery and marine wildlife and offers plenty of sunbathing space, fixed seating and an external steering position. 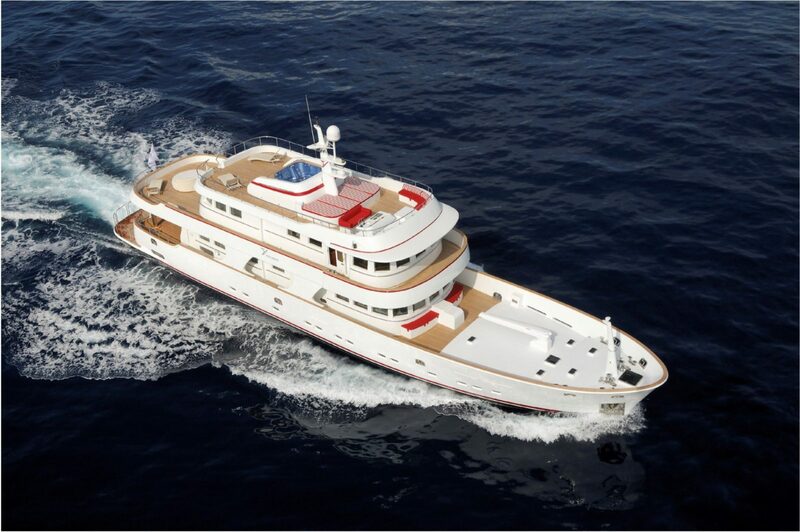 Propulsion for the expedition yacht TANANAI is in the form of twin 900hp Man engines with a max cruising speed of 15 knots and economic speed of 12 knots. 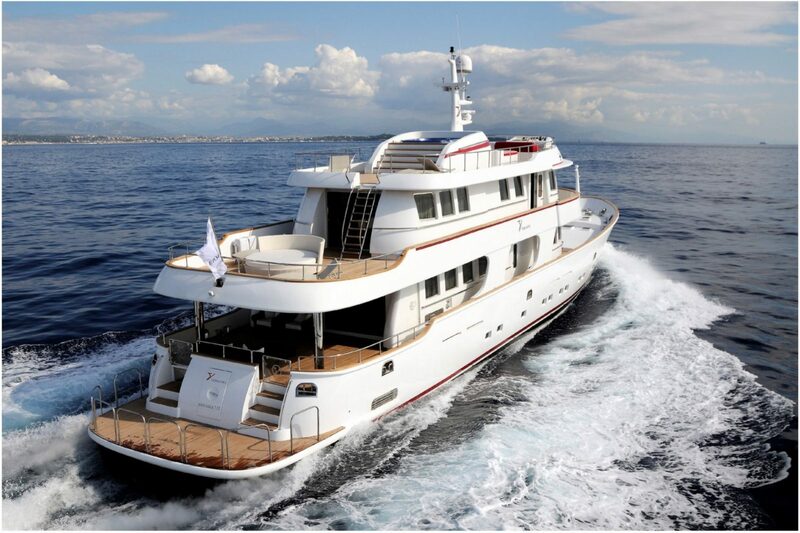 She has an experienced crew of 6 and is based in Olbia in Sardinia, ideally located to reach the South of France, the Naples area including Capri and Ischia, the Eolian Islands (Lipari) and Sicily. 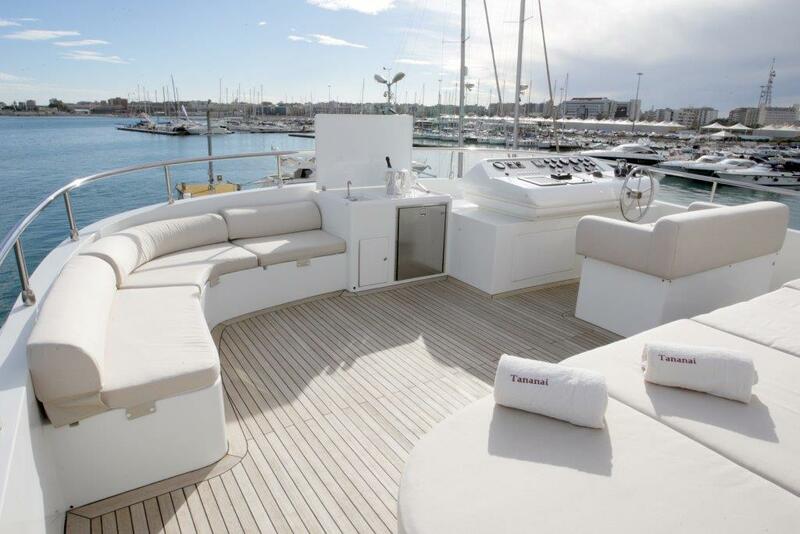 Please contact CharterWorld for a full list of extras amenities, tenders and toys that will be onboard charter yacht TANANAI.